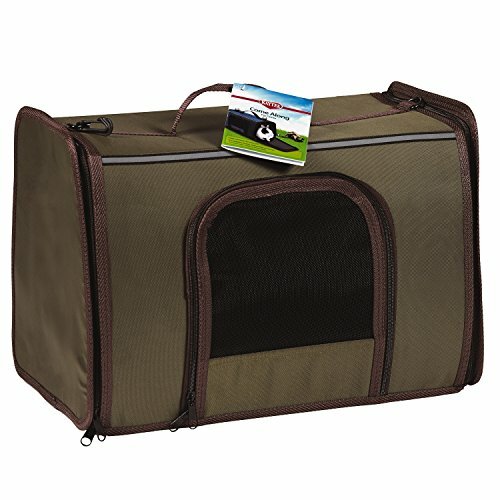 Let your pet travel in first class in the Come Along carrier, a cozy and comfortable fabric-covered pet carrier. 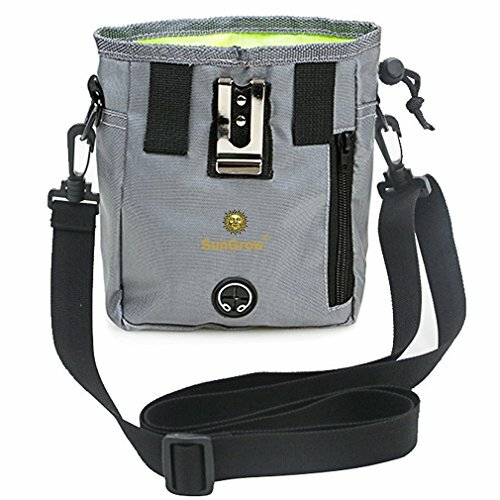 The ultimate carrier for convenience and comfort, Come Along features fresh air vents, a handy storage spot, e-z carry handle and e-z zip double zipper design. 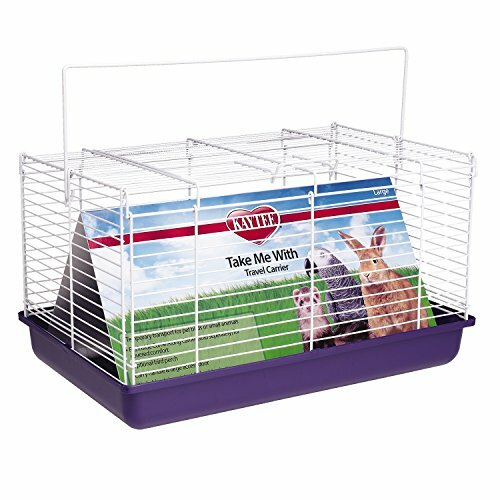 The large carrier is ideal for rabbits and big bunnies, and provides extra room for any critter. Come Along carriers can be combined with the take me home travel home for the ultimate travel system. 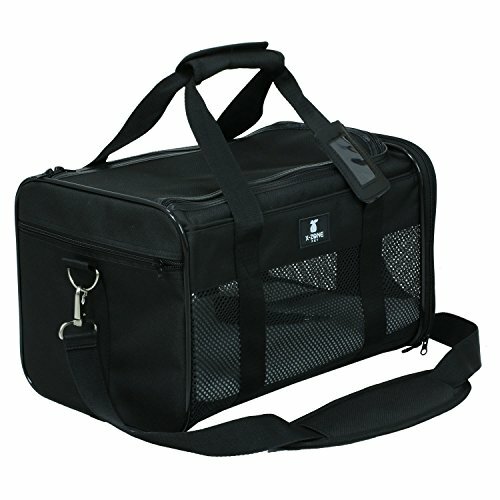 Our Pet Life Folding Zippered Easy House Carrier is phenominal for outdoor and indoor settings. 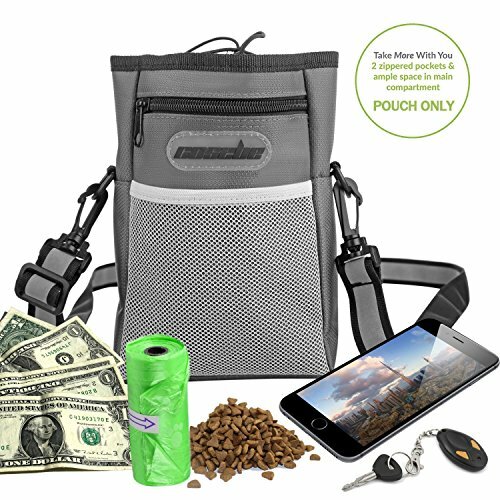 Perfect for picnics, backyards, and other outdoor events that you and your dog enjoy. 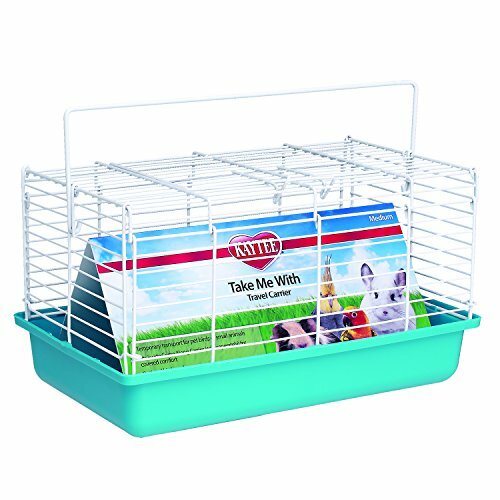 Lightweight and easily transportable, this carrier folds extremely narrow. 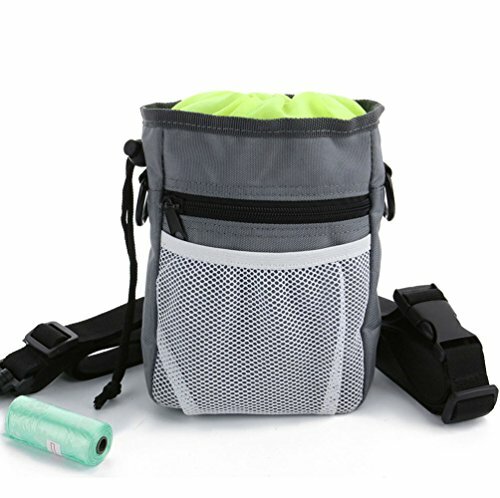 It features a mesh zippered entrance on the front side along with two breathable side mesh windows for visability along with allowing in some sun. 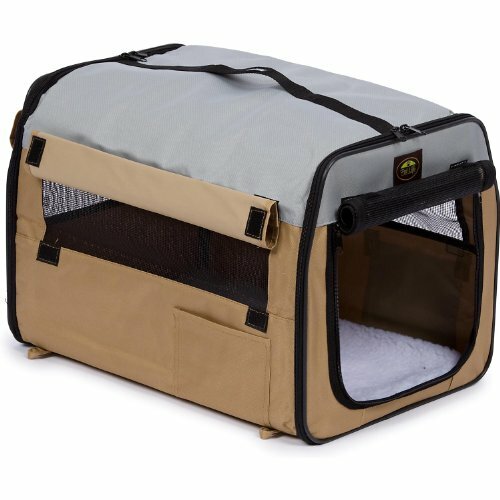 This carrier also comes with our Sherpa scratch-resistant nylon padding that keeps your pet both warm and cool. Sizing dimensions: (in inches) L x W x H - 31.9" x 22.8" x 22.8". 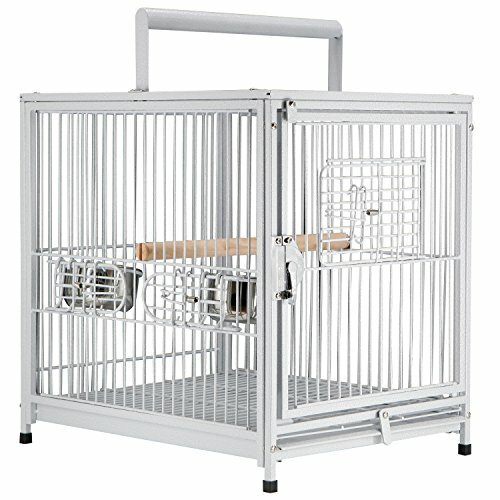 Compare prices on Large Come Along Carrier at Shopsimal.com – use promo codes and coupons for best offers and deals. We work hard to get you amazing deals and collect all avail hot offers online and represent it in one place for the customers. Now our visitors can leverage benefits of big brands and heavy discounts available for that day and for famous brands.